A picture is worth a thousand words, right? Well, this picture is worth about a thousand votes! With her eyes locked on the President of the United States, Barack Obama, 6 year old Journey Tyner’s dreams have come true. A chance to meet the leader of the free world. 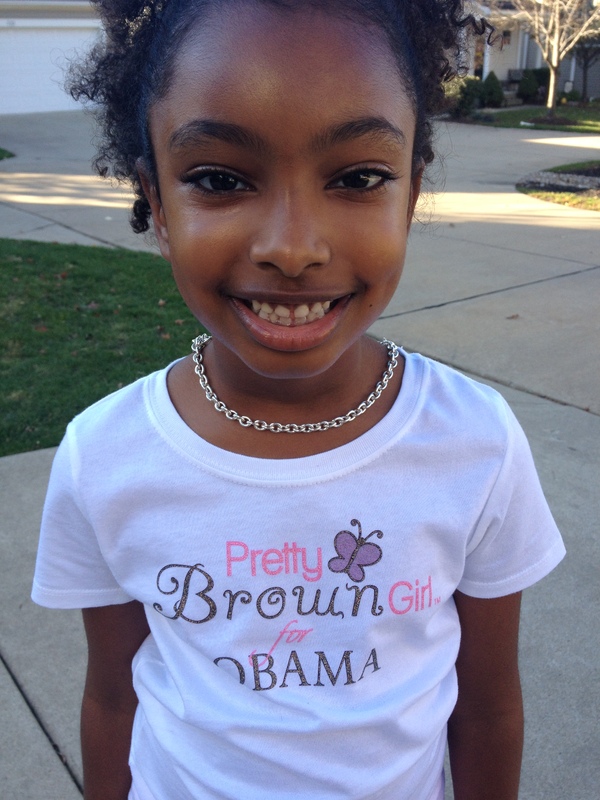 Now Journey’s parents could have dressed her in any ol’ t-shirt, but they took a chance and purchased a shirt from “Pretty Brown Girls” that says, “Pretty Brown Girls for Obama”. 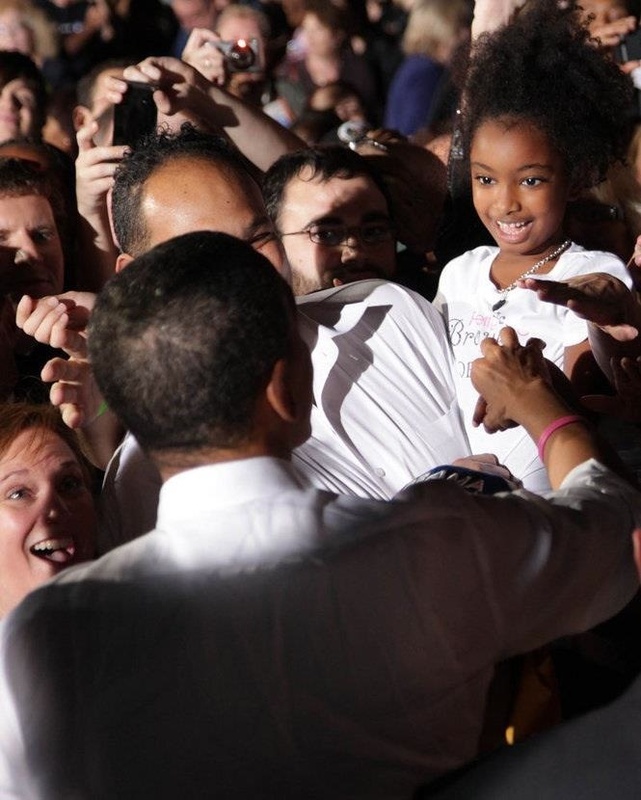 Well that shirt worked its magic on President Obama this week in Cleveland, OH and he could not walk past her without saying hello. Remember a few weeks ago when I said to stock up on tshirts that tell a story? Well this shirt is sure to carry on a story for years and years to come! And while election year is almost over, Pretty Brown Girls has a whole line of unique shirts that empower African American girls. Prices are very reasonable and when you have a moment like Journey did with the POTUS, the value of the shirt is priceless.